Delores D. Evenson, 88, of Sturgeon Bay, passed away at Cardinal Ridge on September 11, 2018. She was born November 4, 1929 in Sturgeon Bay to Lincoln and Mathilda (Peschel) Larson. On July 25, 1953, she married Einar Evenson who preceded her in death on February 4, 1992. 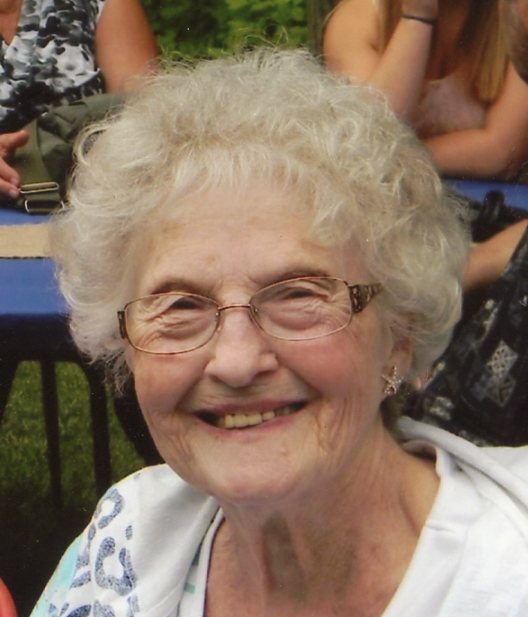 Delores was very active in her community, where she volunteered for numerous organizations including: Door County Memorial Hospital Auxiliary, Neighbor to Neighbor, Door County Historical Society, Retired Persons Activity Club, American Legion Auxiliary, and Hospice and Respite Care of Door County. Delores enjoyed decades of travelling with friends and family to numerous destinations. She especially enjoyed spending time with her grandchildren and attending all of their extra- curricular events. Survivors include two sons, Mark (Lori) Evenson, Dana (JoAnn) Evenson, daughter- in- law Holly Evenson, all of Sturgeon Bay; four grandchildren, Brittany DeMarb, Hunter and Spencer Evenson and Elise Evenson; 1 great-grandson Cruz DeMarb; a sister June Larson; and a brother Glenn Larson. She was preceded in death by her husband, son Trent; sister Hazel Larson; brother Doug (Phyllis) Larson; sister-in-law Trudy Larson. Funeral Services will be 11:00 a.m. Tuesday, Sept. 18, 2018 at the Sturgeon Bay Moravian Church with the Rt. Rev. Matthew Knapp officiating. Burial will be in Bayside Cemetery. Friends may call at the church on Tuesday from 9:30 a.m. until the time of service. Forbes Funeral Home is in charge of arrangements. Special thanks to Kris and staff at Cardinal Ridge and to Compassus Hospice for the wonderful care and support.